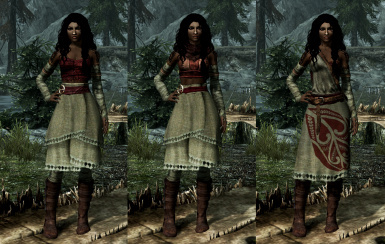 This mod adds three new outfits with variants in red, black, blue, green, yellow and purple. 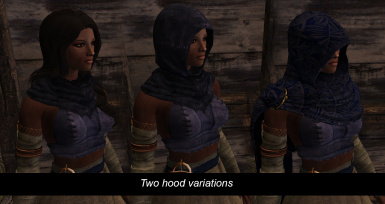 It also includes two hoods in six colours, a set of boots and gloves that come in dark or light, as well as a recipe that allows you to make linen wraps from tundra cotton or wheat. 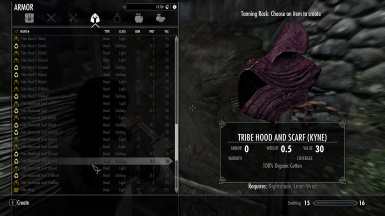 All are craftable at the tanning rack and all items come in clothing or light armour (classified as 'hide'). 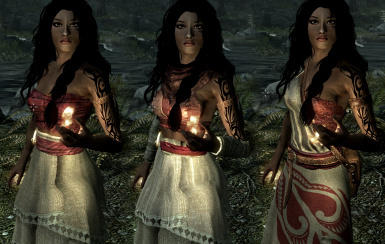 These dresses are crafted from linen wraps, tundra cotton, and flowers, so do not require any leather or pelts - great for pacifist/nature-friendly players! Textures used are either vanilla or my own originals. Aside from vanilla meshes, I've used meshes from SydneyB's "Ashara Imperial Outfits" and Tiwa44's "UNP Minidress collection". Both authors and have kindly given me permission to post this mod to the nexus. 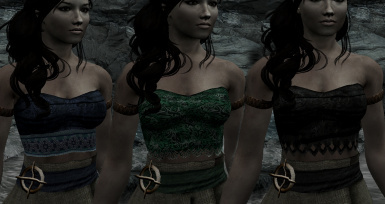 The female bodies used for the clothing are the default UNP bodies by Dimon99. 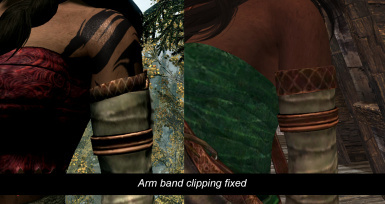 Consequently, this mod will not be sold for money on Steam Workshop or other platforms. If you would like to use any assets from this mod please note it must adhere to this rule. 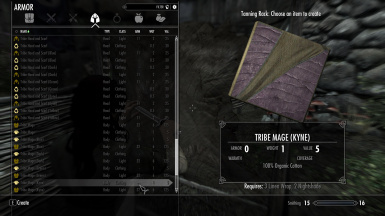 If you use this mod I'd love to see some screen shots! 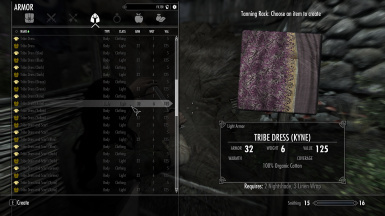 If you use an older version of Tribe Dresses I'd recommend uninstalling that one first - the increased volume of textures means the directories have changed a little. 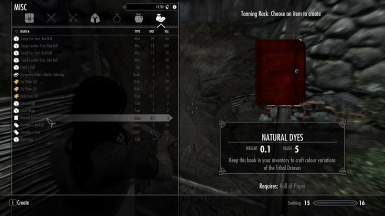 Otherwise, just use the NMM, or a simple extract then drag'n'drop into your skyrim folder. 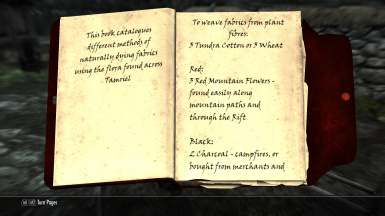 To prevent clutter in the crafting menu, you'll need to get a copy of "Natural Dyes" - a book that can be crafted at the tanning rack with a roll of paper. 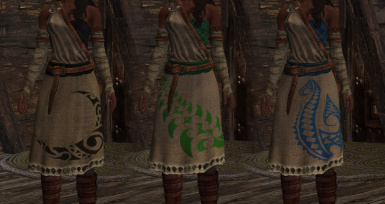 This will let you craft the blue, black, green, yellow and purple (Kyne) versions of the dresses.